It’s February here in Canada and we are having one of the coldest winters in a long time. Temperatures have been dropping to -40 Celsius and we are in another extreme cold weather warning. What better way to avoid going outside than to bake up some comfort foods. 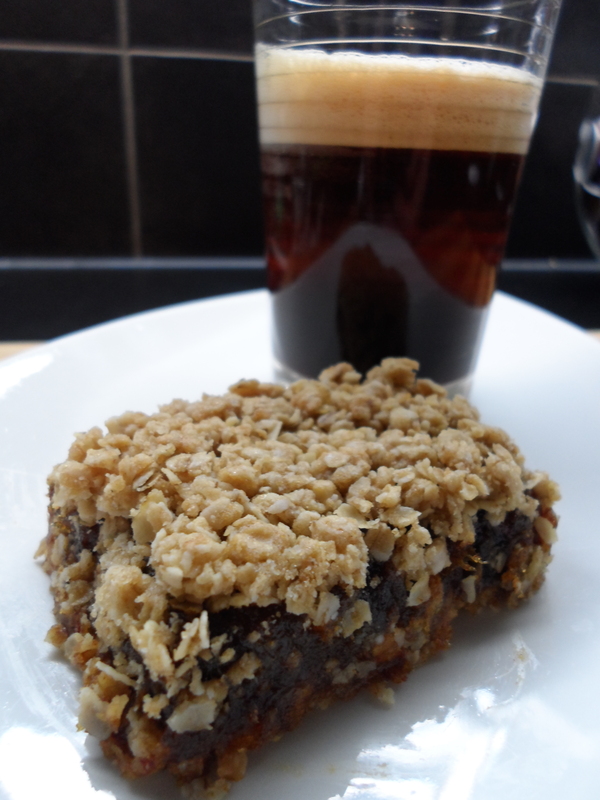 I remember having these date squares when I was growing up in Northern Ontario. 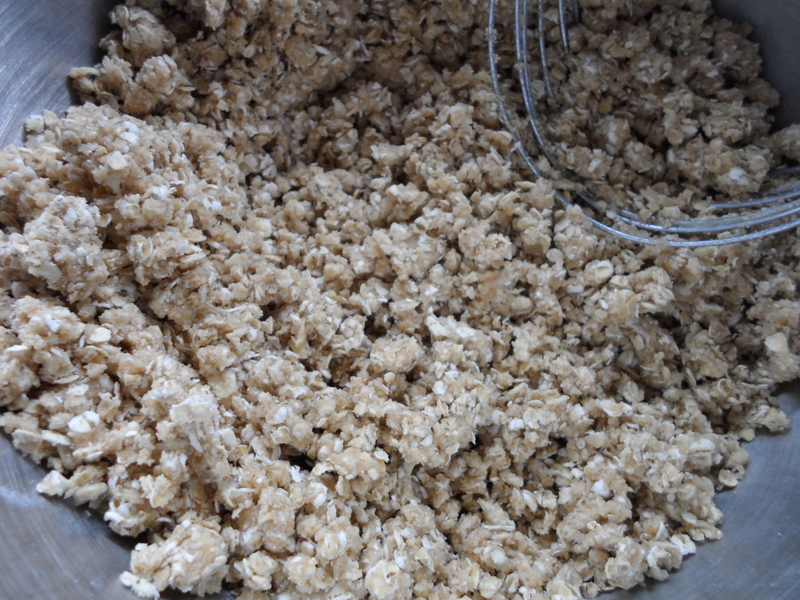 My mother would typically make pans of these for the Christmas holiday season. They were always one of many of the squares on the dessert trays that would come out at the end of the holiday meals. They freeze well, thaw well, and always disappeared quickly so you may not get the chance to put them in your freezer. 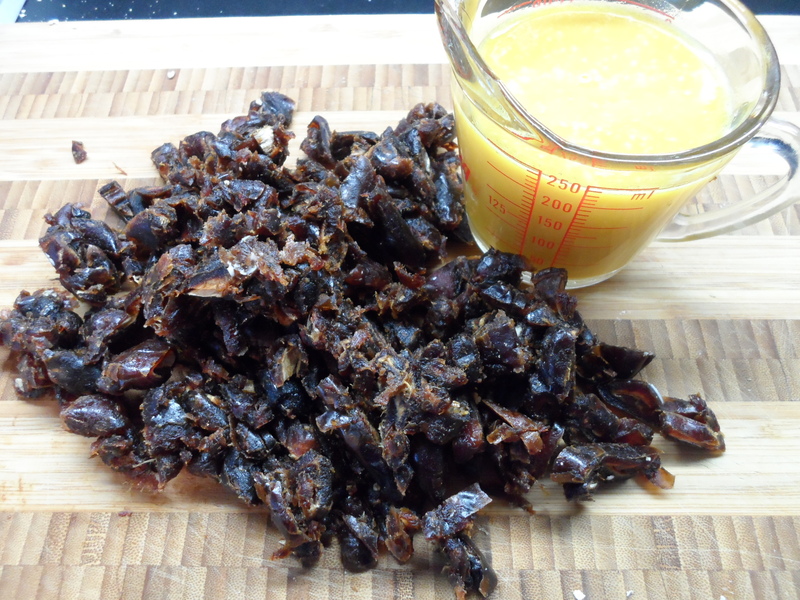 I have added an orange flavour to my recipe and have cut back a bit on the sugar. 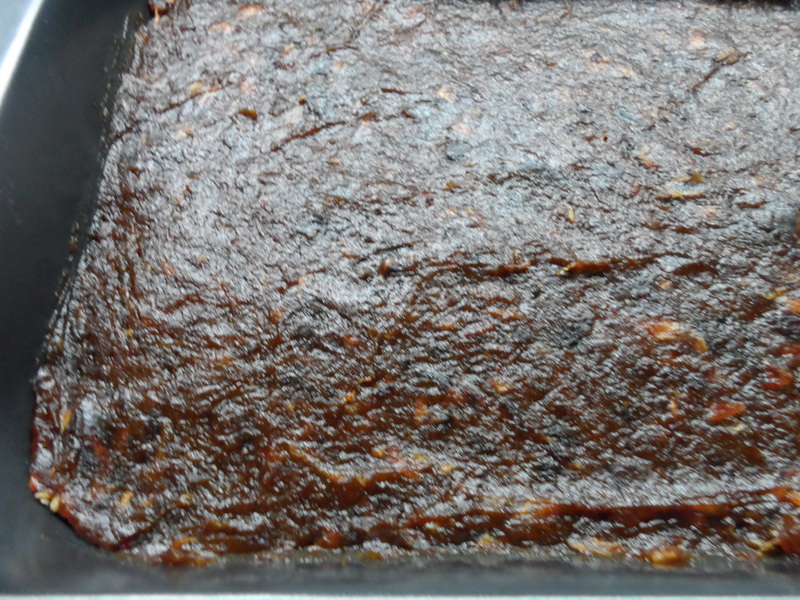 Dates are very sweet and I really like the addition of citrus that gives a little zing to these squares. 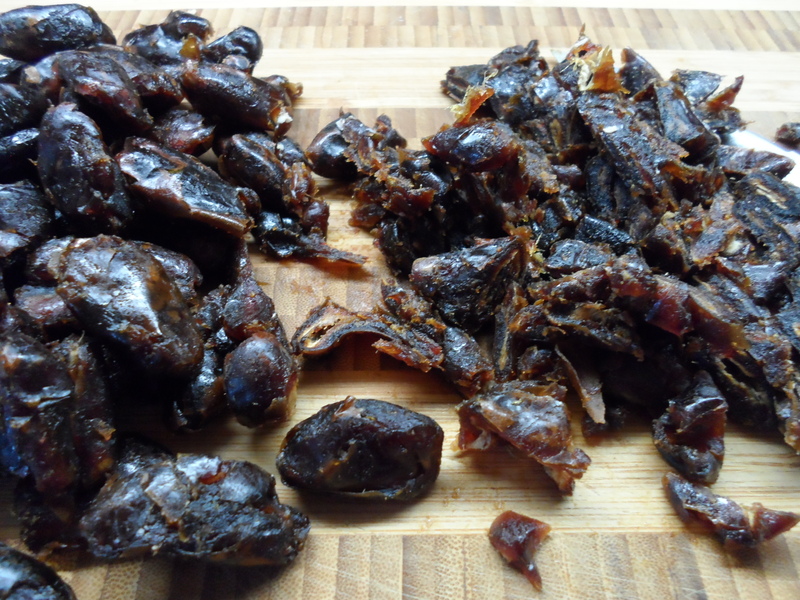 Roughly chop pitted dates. This will give you the opportunity to make sure you do not have any pits hiding in the dates. Add dates and frozen orange juice concentrate (just the orange concentrate, not after water has been added) in a small saucepan and bring to a low simmer. 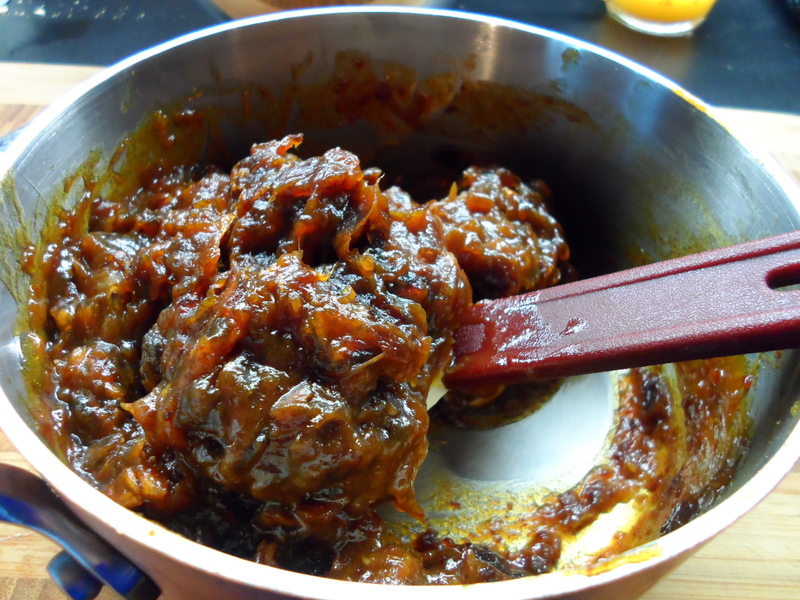 Stir frequently until dates soften and become a smooth paste-like consistency ~ approx 10 minutes (it helps to press the softening dates against the side of the saucepan to mush up any big bits). 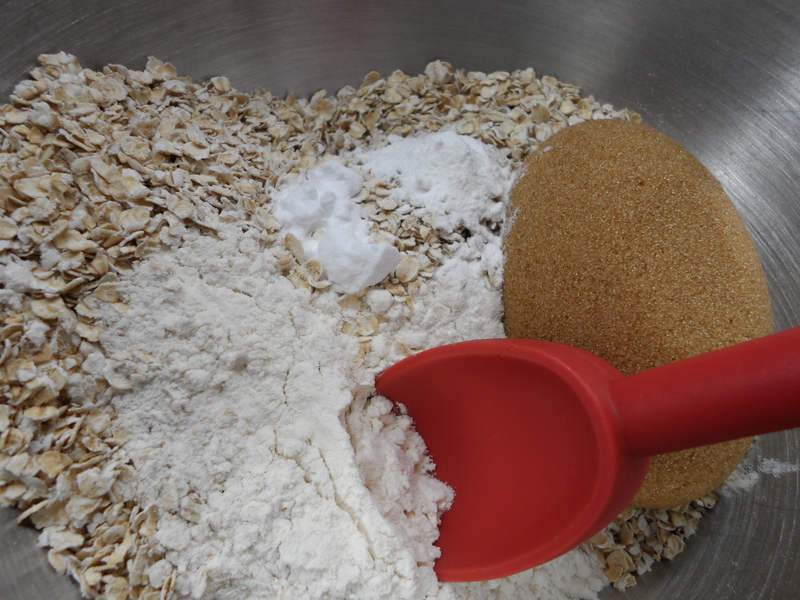 Put oats, brown sugar, flour, baking powder & baking soda into a bowl and combine well. 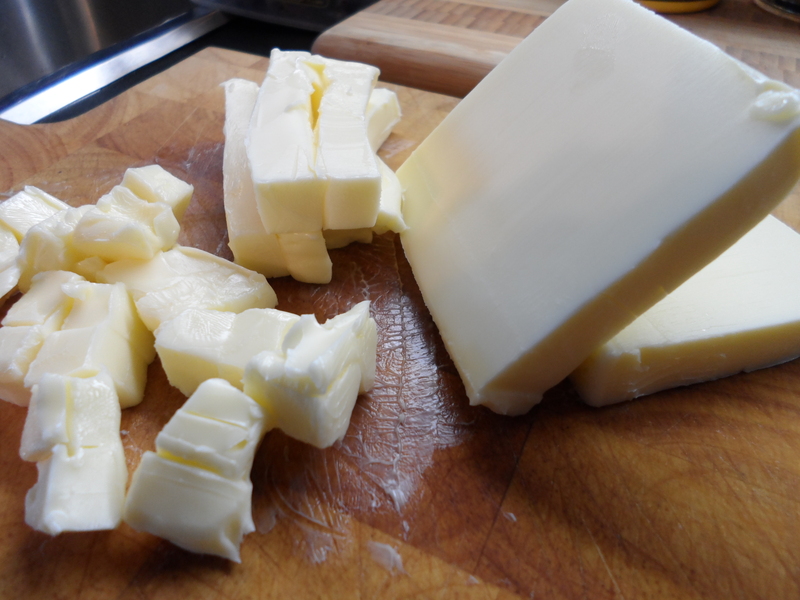 Cut butter into small cubes and add to dry ingredients. 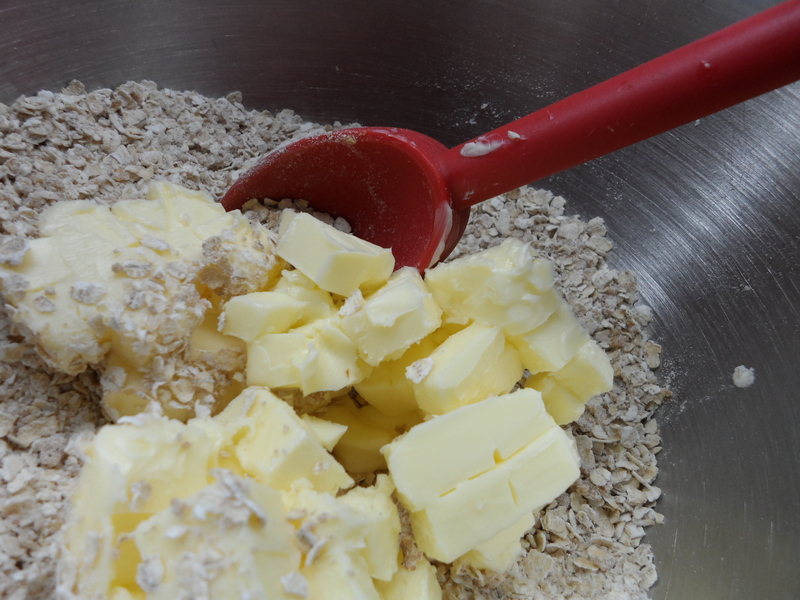 Mix the butter into the dry ingredients using a pastry knife. 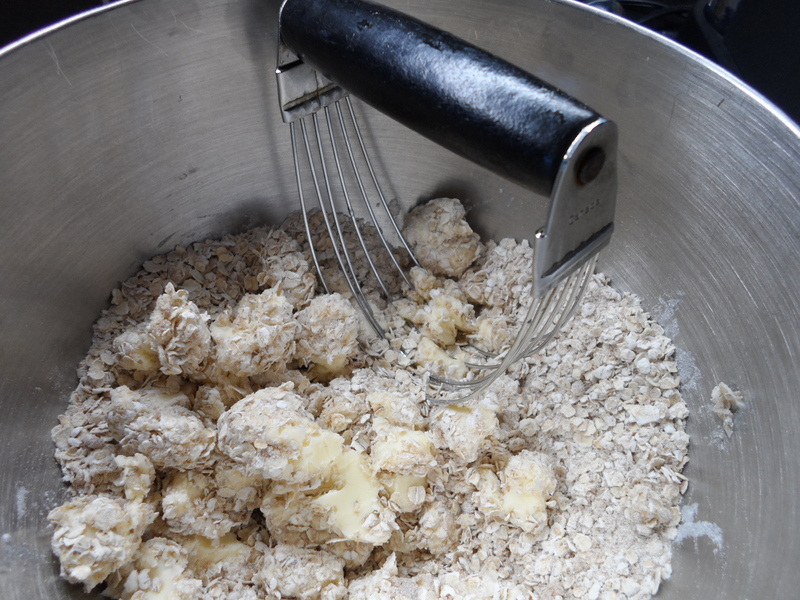 Keep working the butter into the dry ingredients until well combined and the mixture looks like small pebbles. 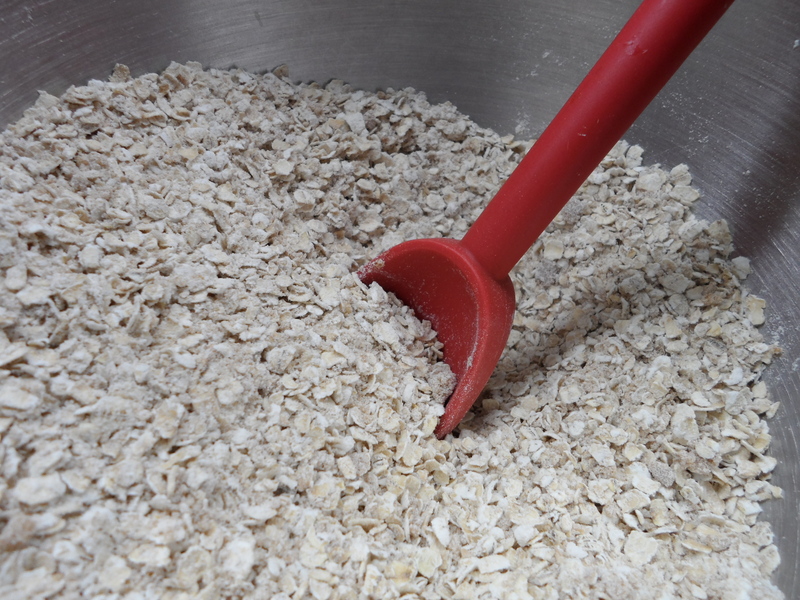 While mixing, press down firmly and twist the pastry knife. At first the mixture will clump up a lot on the pastry knife, but you can use a regular knife to scrape it off and just keep at it. Add 2 tbsp water and mix well. 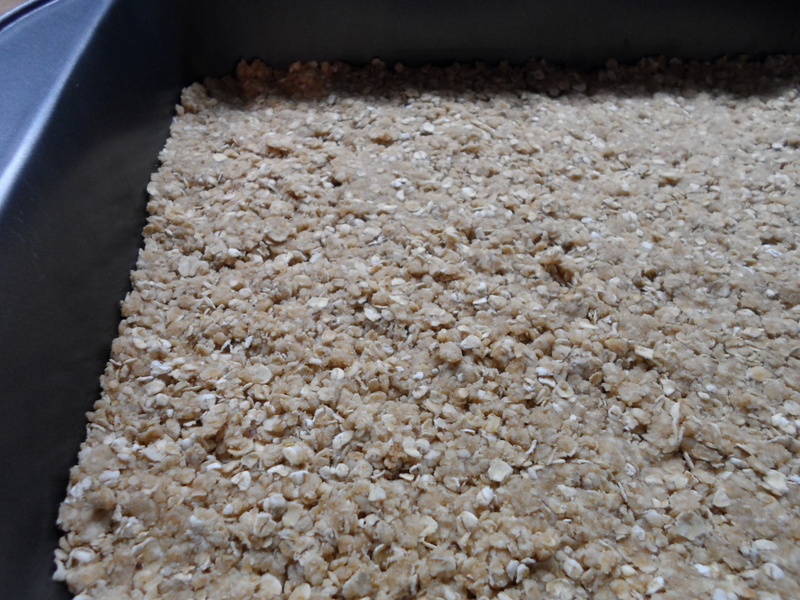 Put 1/2 of dry oat mixture into a 22.5 x 27.5 cm (9×11 inches) non-stick baking pan and press down firmly. 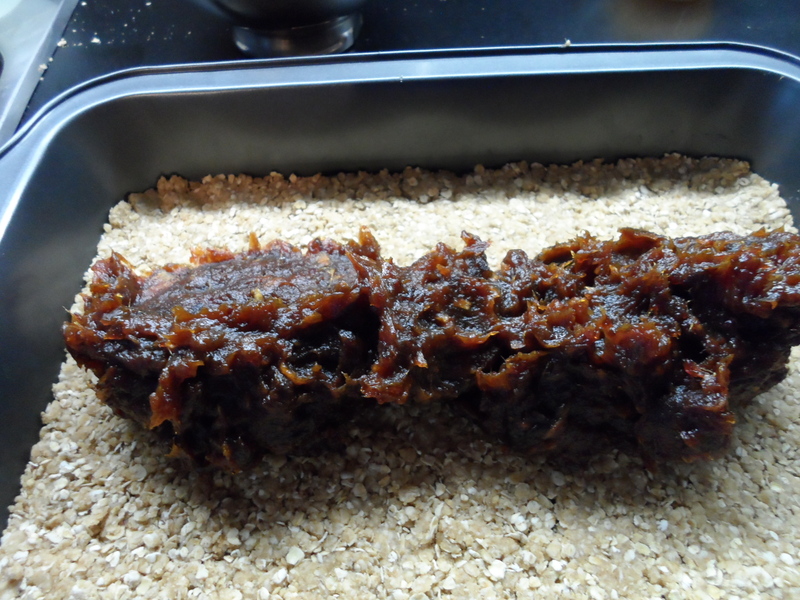 Be careful not to press too hard or the mix will push up the sides of the pan. You want a well packed even bottom layer. 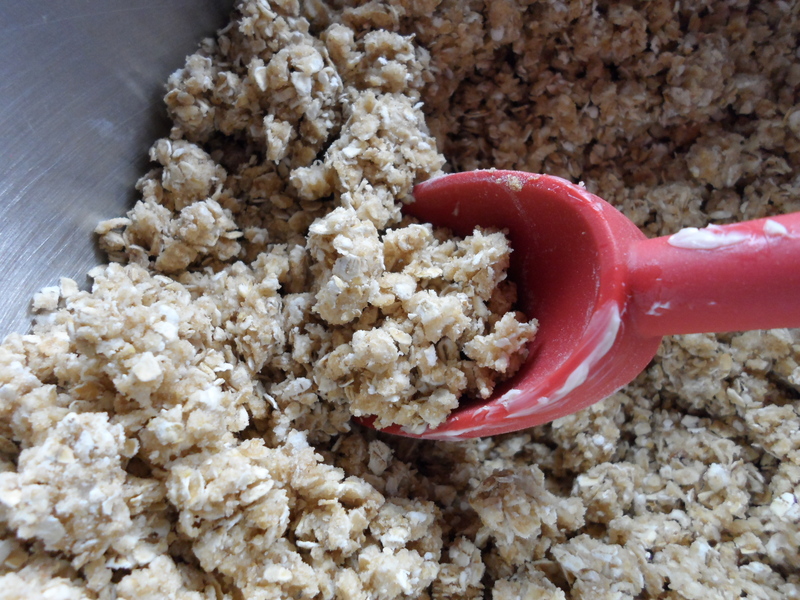 Add date mixture and spread out evenly. 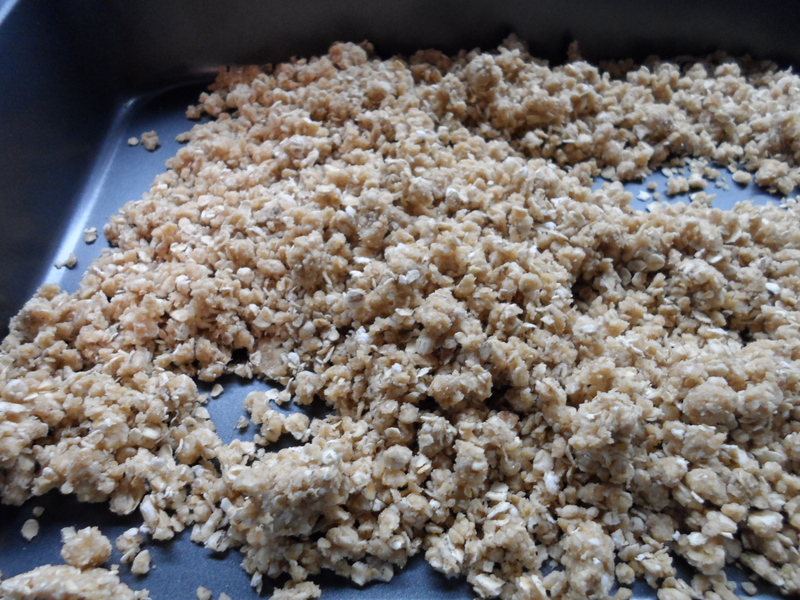 Sprinkle second half of oat mixture on top and press down gently. Bake at 180 C (350 F) for 20-25 minutes until golden brown. 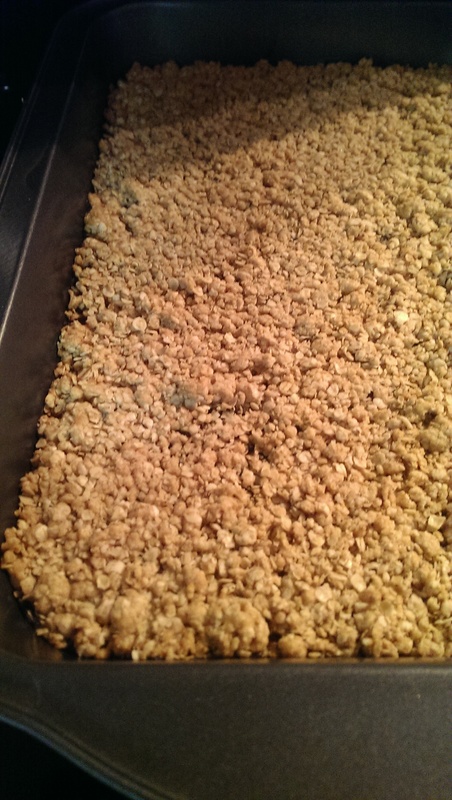 Mmmm… can’t you just smell the toasted oats… put the coffee on, here comes my plate!! 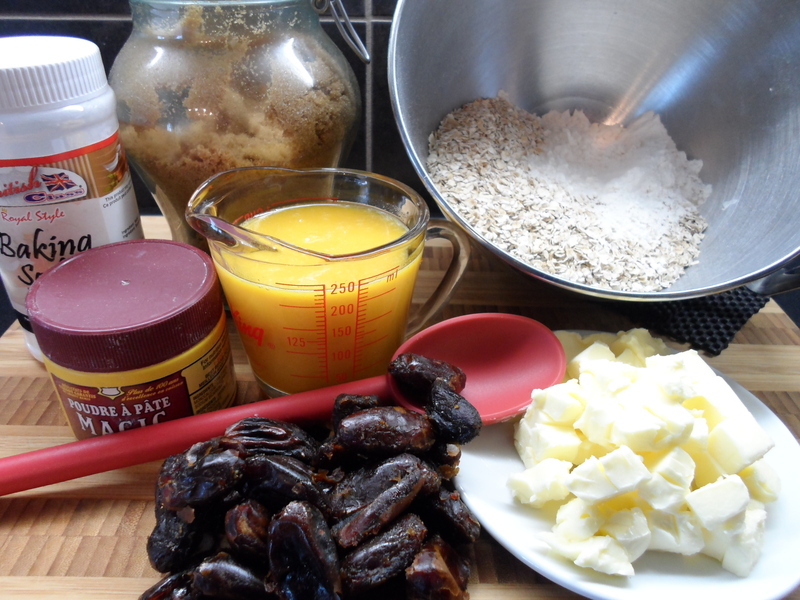 Posted in desserts, Holiday Celebrations, recipesTagged comfort food, dates, oatmeal, orange juice, squaresBookmark the permalink.